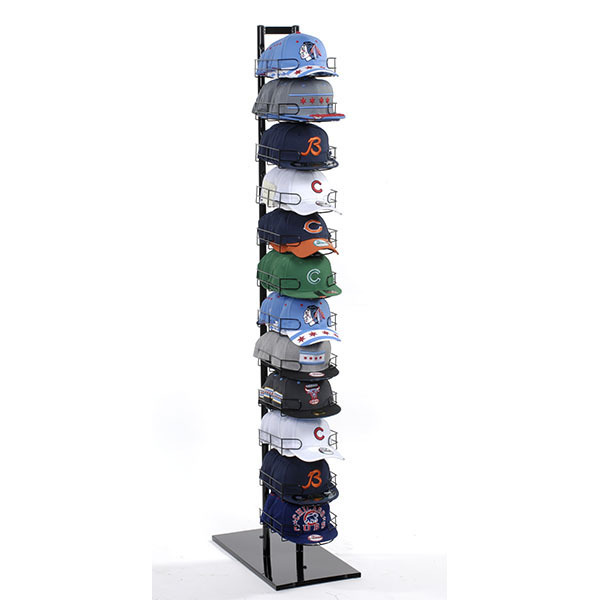 This display is great for gift shop merchandising of baseball caps and hats! Keep your caps neatly displayed to easy your customers shopping experience. 12 Tier Cap Display holds a variety of caps and this space saving unit displays up to 120 hats. Features a heavy duty base for stability. Each cap shelf is removable which makes adjusting simple and easy.